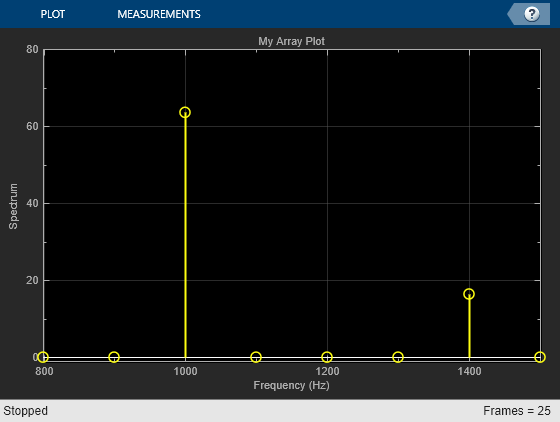 Array Plot Configuration properties control the appearance and behavior of an Array Plot block. Create a configuration object with get_param, and then change property values using the object with dot notation. MyScopeConfiguration = get_param(gcbh,'ScopeConfiguration') creates a new Array Plot Configuration object. If you do not provide the full path to the block, you must first select the block in the model. Number of input ports on a scope block, specified as a character vector. The maximum number of input ports is 96. The spacing between samples along the x-axis, specified as a finite scalar in a character vector. The input signal is only y-axis data. 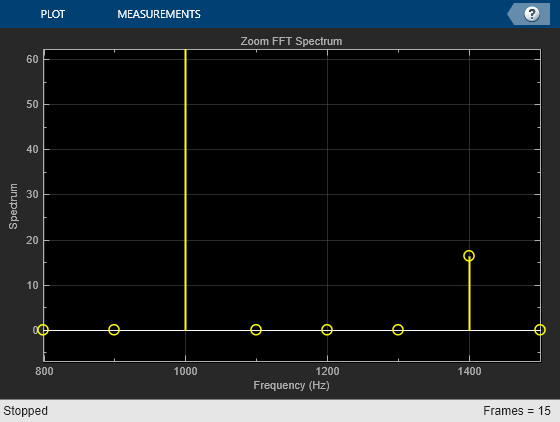 x-axis data is set automatically based on the XOffset and SampleIncrement properties. For example, when Xoffset is 0 and SampleIncrement is 1, the x-data for the input signal is set to 0, 1, 2, 3, 4, and so on. If you set SampleIncrement to 0.25, the x-axis data becomes 0, 0.25, 0.5, 0.75, 1, and so on. To use this property, set XDataMode to 'Sample increment and X-offset'. Specify the offset to display on the x-axis. Specify the desired x-data values as a character vector. The row or column vector must be equal to the frame length of the inputs. If you use the default (empty vector) value, the x-data is uniformly spaced and set to (0:L–1), where L is the frame length. Set this property to true to show grid lines on the plot. Add a new Array Plot block to the model. Call the get_param function to retrieve the default Array Plot block configuration properties. This example shows how to change Array Plot block behavior and appearance from the MATLAB command line. Open the model and create an Array Plot block configuration object. Change the title of the Array Plot and the axes scaling.